Everybody loves food, that's a fact, but how often do we find ourselves hungry for a meal yet we just do not feel like leaving the house to grab a bite. The next thing that comes to my mind would most probably be either McDonald's delivery, Domino's or Pizza Hut. 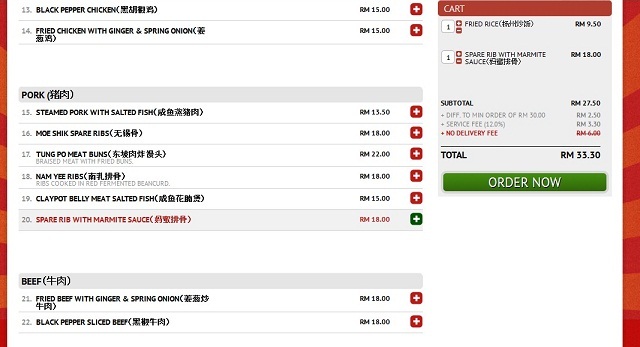 These are the safe but rather mundane food options, so I was pretty excited when the new kid on the block, Foodpanda Delivery Service approached me to try out their system. The food offered came from all over, various restaurants, good wholesome food. "Striving to bring the best food delivery platform to Asia, foodpanda introduces a convenient food ordering service for their customers that provides a great variety of culinary choices online. “We aim to be the best food delivery websites around with a wide range of varieties from fine dining food to casual dining restaurants”, said Sidney Ng, foodpanda Malaysia’s Marketing Director in foodpanda.my’s inaugural blog event at Comida, Mont Kiara." I had the opportunity to attend Foodpanda's first blogger's event in Comida, but the writeup for that event will be in my upcoming post further down this week. 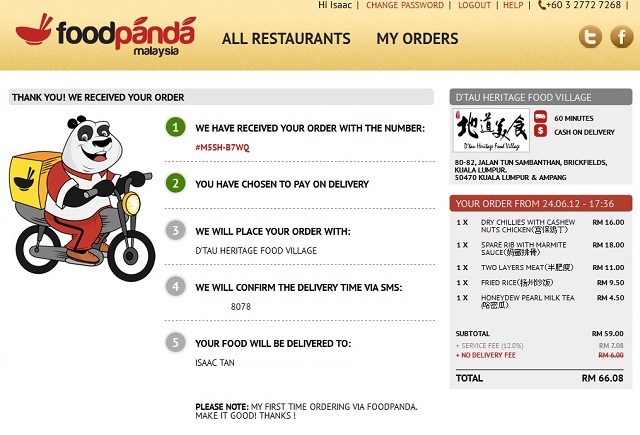 As for now, this post shall serve to introduce Foodpanda as well as a step-by-step run through on how to utilize their services. It is really very simple actually, just log on to their website, and you can immediately browse through their restaurants for the food of your choice. 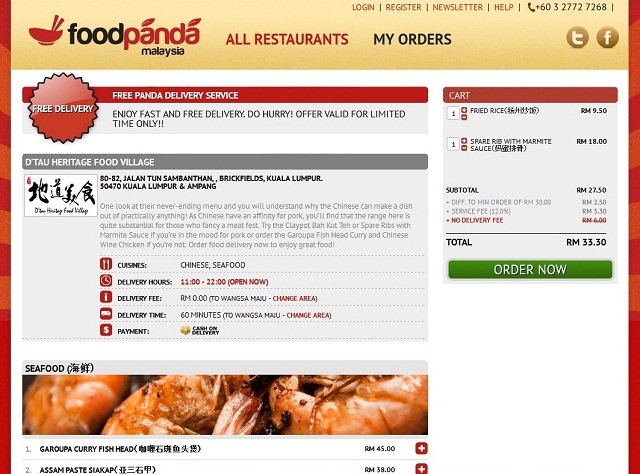 Currently Foodpanda has over 100 restaurants online and it's expanding really fast. Choose your restaurant, and just click on "View Menu" to see the choices. Three simple steps, and you're on your way to enjoy the food of your choice in the comforts of home. Hand delivered directly to the doorstep, this is a really fun option on those lazy Sunday afternoons. Of course, first timers have to go through the initial one-time registration, filling up all those details needed to send the food home. I ordered a full meal for two, mostly meat this round coming up to a total of RM66.08 inclusive of the service fee. A small pop-up box will appear to confirm the order requesting a 4 digit number which will be sent to the mobile number. Depending on carrier, the time taken to receive the SMS varies from 5 to 10 minutes. Now that's a really convenient way of getting a variety of food delivered without even stepping out of the house. 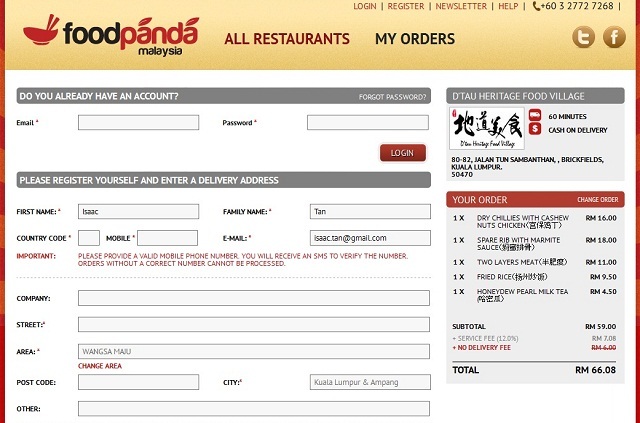 No more McDonald's or Pizza Hut for me for the time being, as I could tinker around with Foodpanda's website going through their vast menus (http://www.foodpanda.my) Do check them out, should you be having one of those "I don't want to leave the house for food" days. Foodpanda is also having a Facebook contest : "Daddy Knows Food Best Contest"
The contest will run from 11 June to the next month 12 July. "Facebook users just need to tag their friends (any number) and post a pic of a dish that best describes their dad's. The winner will get a dinner for four in Gaucho Grill while the tagged friends will get RM5 vouchers each. I've tried...easy and hassle free online food ordering! But they should improve on their delivery service cos' my food arrived later than 90 minutes. not bad rite? :) quite a good service, but have to wait for an hour..